* With its combination of leather and stainless steel this piece manages to be both rugged and refined so it's perfect for everyday wear. 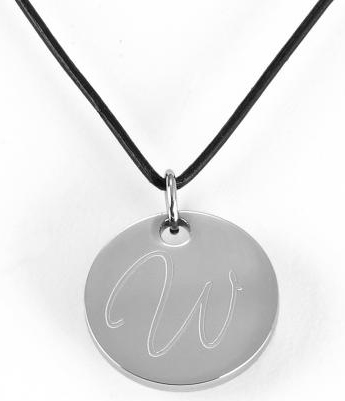 * The pendant doesn't need to be polished and won't scratch or nick like sterling silver. * Product not suitable for children under 12 years of age. * The versatile leather necklace is expandable up to 35-inches and available in four great colors. 35" x 2" x 2"